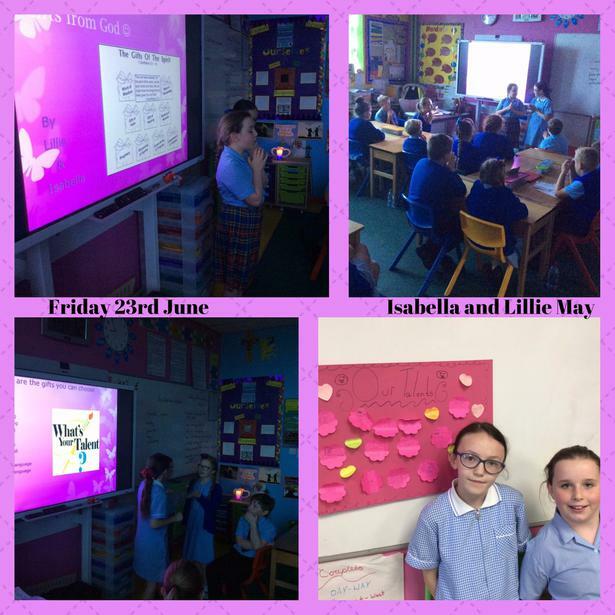 Lillie and Isabella were inspired by our recent R.E. topic of 'Transformation' and worked hard to prepare a lovely, fun and engaging Collective Worship with the theme of 'Gifts from God'. The girls presented a lovely powerpoint and really encouraged Class 9 to reflect on their talents and recognise each other's talents, whether they are sporting talents, academic talents or social talents. Every child was given the opportunity to embrace their own talents, speak about their achievements and share what they thought of their friends, which was a perfect way to end the week.